74% of all Internet traffic will be video by 2017. Now is the perfect time to start creating and sharing videos to your social channels. From answering FAQs, to providing an office tour, your videos can be what you want them to be – just remember to keep them short and simple! You are also welcome to link to the great oral health and insurance education videos on our YouTube page. Just make sure you attribute them properly. Just because you’re a dental practice doesn’t mean you need to focus SOLEY on dental. Is there a community event that is happening near your office? Do you support any local organizations? Share a post about that! 90% of participants were influenced by positive online reviews, according to a recent customer service study. Encourage followers to leave a positive review or comment on your Facebook page. 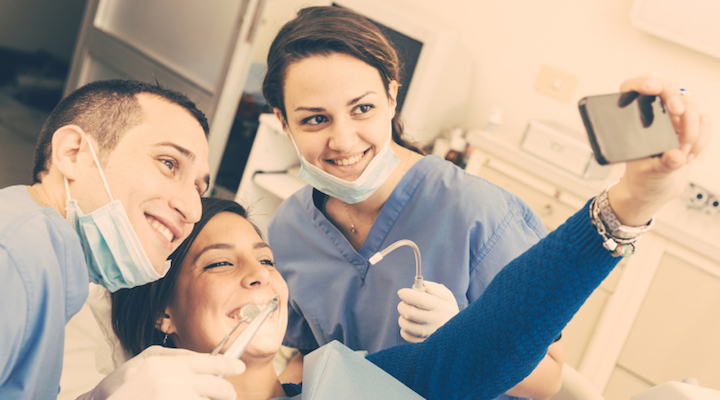 Step it up a notch by encouraging your patients while they’re in the office. We hope that these 3 content ideas help you attract more attention on social media. Do you have another tip that worked really well for your office? Share it with us in the comments below!